BRYAN EATON/Staff Photo. 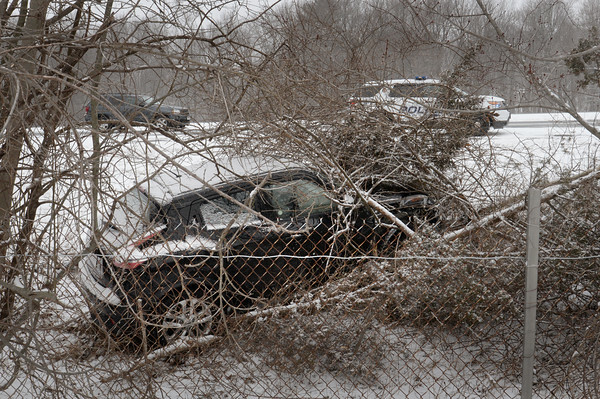 An Amesbury police vehicle sits near one of several vehicles that went off Interstate 495 near Route 150 on Friday morning. A rollover was also reported north of Broad Street in Merrimac.